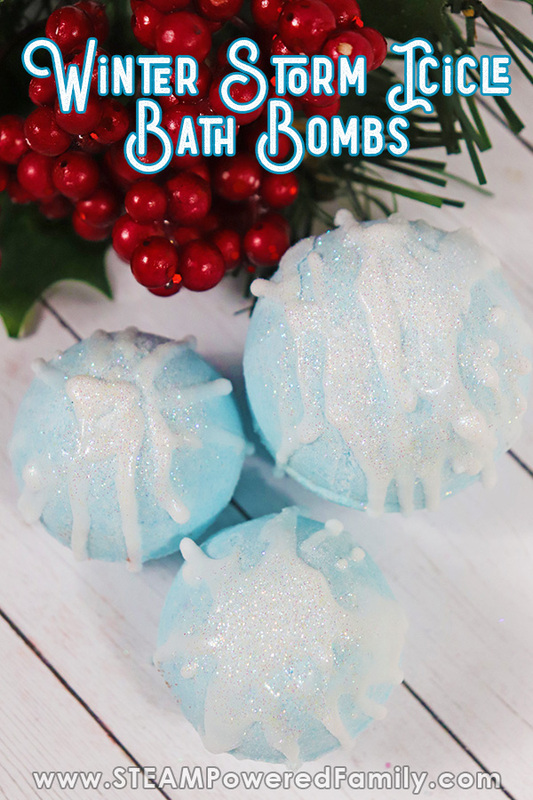 Winter is here and we are using it as our inspiration for our latest bath bomb creation – an Icicle Bath Bomb Recipe that is sure to end those winter blues! As usual, we use our bath bomb making as a fantastic hands on chemistry lesson. 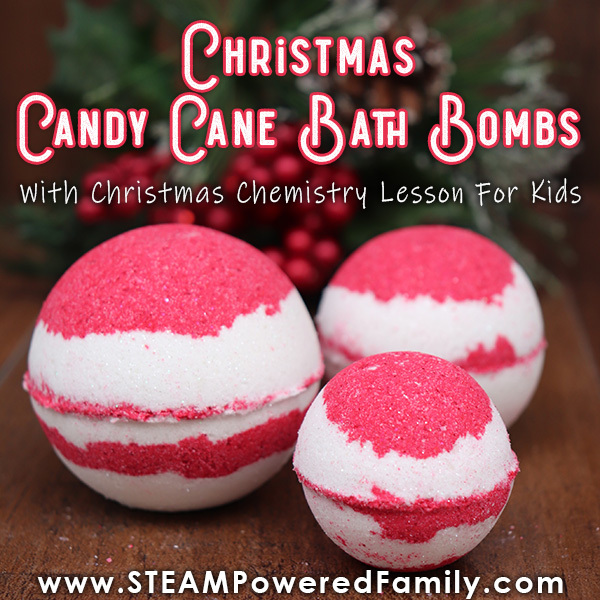 I’ve included the science of bath bombs below so you can do this winter STEAM activity with your kids too. Disclaimer: This post contains affiliate links for which we may earn a small commission on qualifying purchases. I live in Canada and as much as I gripe about the never ending winters, which can be incredibly brutal, I will admit there is a special beauty that comes with this season. Especially after a fresh snowfall. In the soft, watery sunlight we have at this time of year, it’s like the whole world has been dusted with sparkling fairy magic. Those quiet moments, when the world hasn’t woken up after a storm. The snow crunching under your boots. 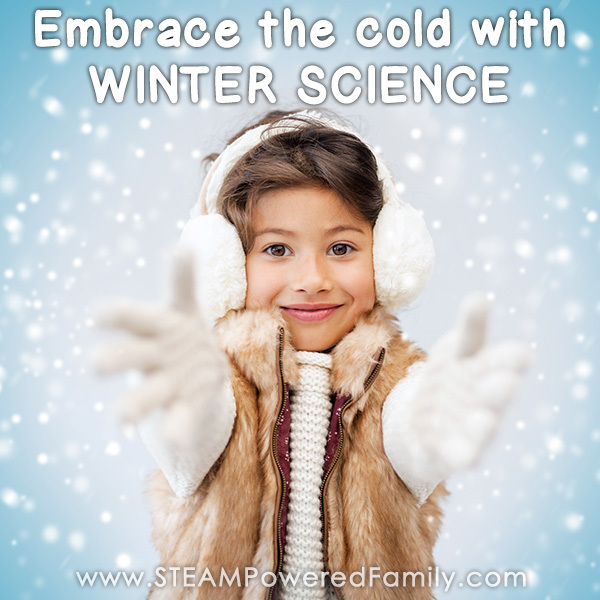 The cold air zapping your cheeks and nose. It can be absolutely breath-taking. 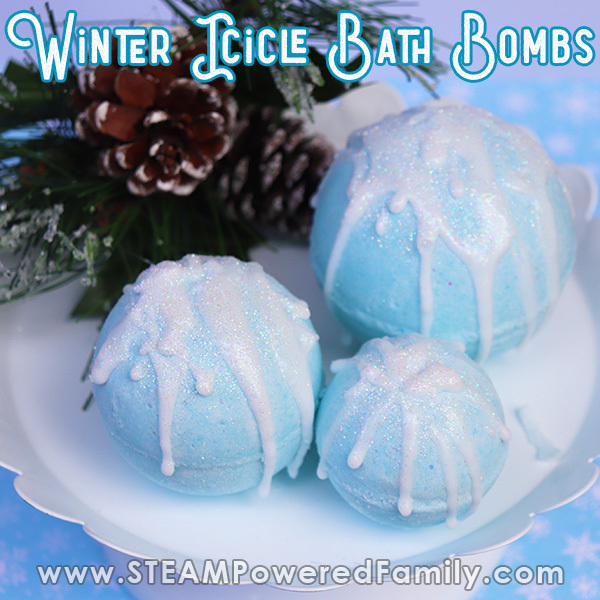 So for our latest bath bomb project I wanted to embrace the beauty of that winter storm moment. When the world is frozen in a quiet moment of sparkling beauty. The result was this bath bomb and I think it turned out perfect. 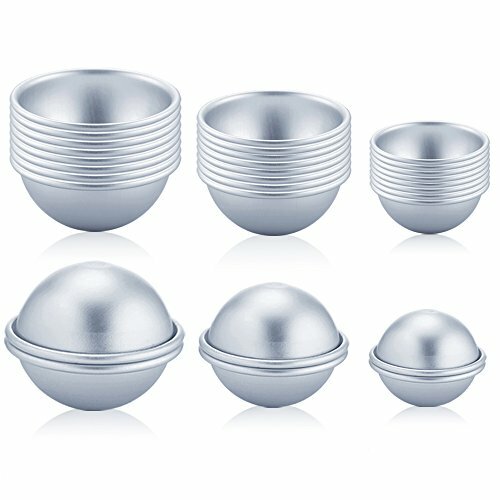 I really like the idea of using soap accents to make bath bombs unique and special. Our Grinch bath bombs were a fantastic success with their perfect little heart soaps. This time the soap is more of an integral part of the bath bomb, but as the bath bomb erupts you will still end up with bits of soap to clean yourself. In the past we have used candies as accents, as these dissolve in the bath water, but I think soap is a much better choice as I have gotten more skilled at making bath bombs. The best part about making bath bombs is the creativity they bring out in the kids. Especially when we start doing out of the box things like using soap as decorative features. 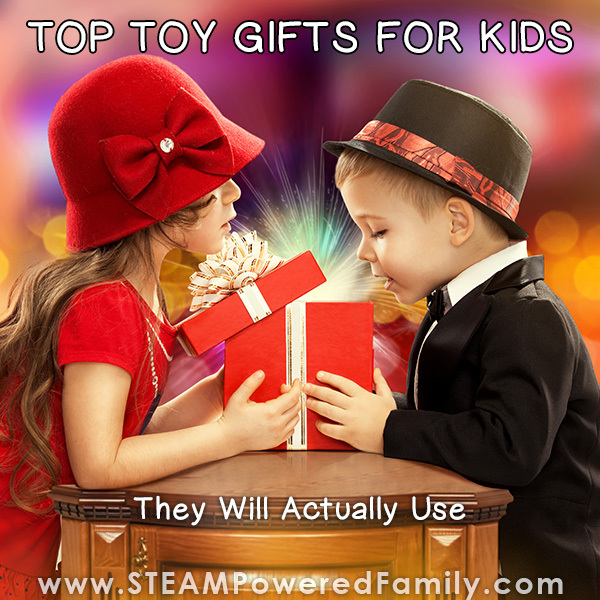 You can watch the light bulb turn on as their passion and excitement for creating is ignited! Bath bomb making is fascinating hands on science for kids. I’ve discovered the more I can make our lessons practical and part of real experiences, the more excited and motivated the kids get to learn. And I’ve never met a kid that doesn’t love a bath bomb or erupting science experiment! 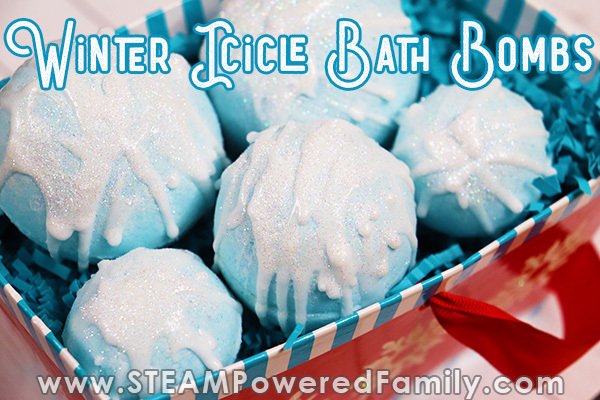 With this activity the kids can study icicles and the way they look and reflect the light and see if they can think of ways to capture that feeling in the design of their bath bombs. Bath bombs are an acid-base chemical reaction. 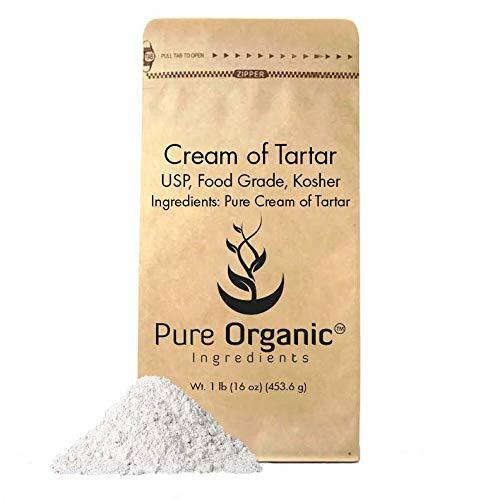 In this recipe we have baking soda as our base and citric acid and cream of tartar as our acids. 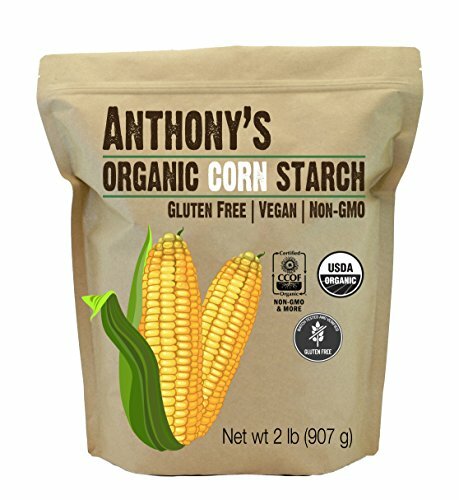 Cornstarch is a fantastic filler that helps keep our acid and base ingredients dry. This is important, because as any young scientist will tell you, when acids and bases come together they react! But not when they are in a dry solid state like our bath bombs. To trigger the chemical reaction we need H20, water, to make the magic happen. 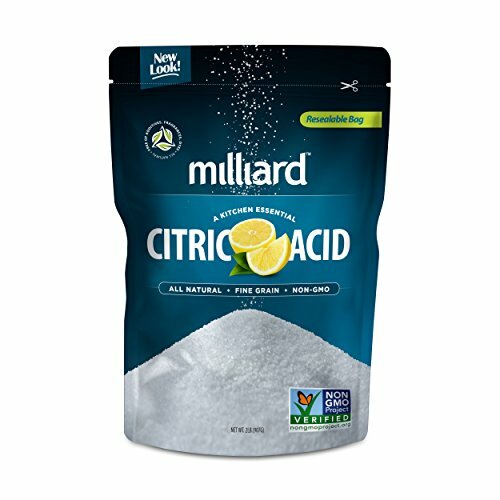 Another ingredient you may not recognize from the list is Polysorbate 80. This is an emulsifier that helps oils mix with water. This is very important in bath bombs where you want the ingredients to mix in with the bath water and not float on the top like a layer of scum and stick to the sides of the bath tub. No one wants that kind of bath! Plus the science of emulsifiers is pretty cool, especially since some of our earliest science experiments are about how oil and water don’t mix. To find a way to make them mix, is pretty fascinating for young scientists. 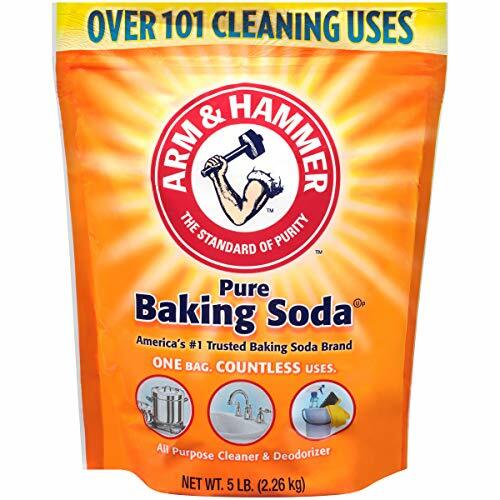 In a large mixing bowl, add the baking soda, citric acid, cornstarch, cream of tartar and Epsom salts. Mix dry ingredients together. In the measuring cup add the coconut oil. Heat in the microwave for a few seconds until it becomes a liquid. 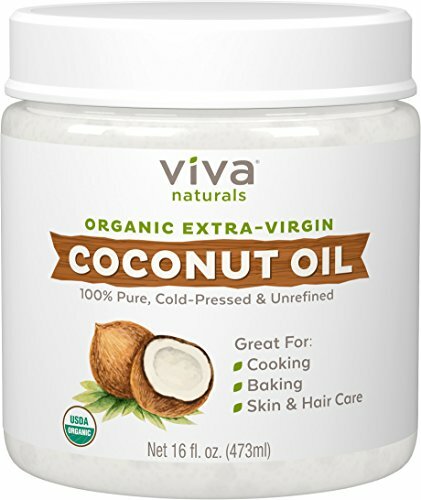 We need a little extra time for this here in Canada where our coconut oil is always rock hard. 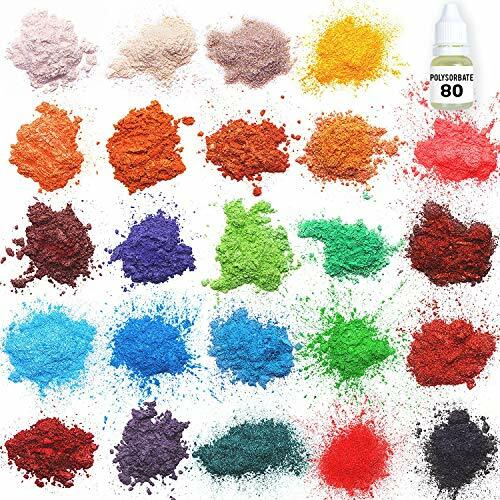 Once melted, add the polysorbate 80, helichrysum essential oil, lavender essential oil, glitter and mica color powder. Mix together with a spoon, then add to the large mixing bowl. Mix all the ingredients together. I use my hands to break down any lumps and make sure everything is really mixed in there. The mixture is perfect when it holds together as you press it into your hands and feels like wet sand. Pro Tip if you live in cold winter climate! We are in Canada where it is winter and insanely dry. This means we need to change up our recipe a bit for bath bombs. I am still playing around but right now what I am doing is melting some extra coconut oil and adding that to my mixture a teaspoon at a time to ensure my mix is not too dry. Witch Hazel made my mixture erupt. Rubbing Alcohol works for helping keep things moist for packing, but it was not enough to counter the extremely dry air we have here. Extra coconut oil has been the best solution I’ve found to date. 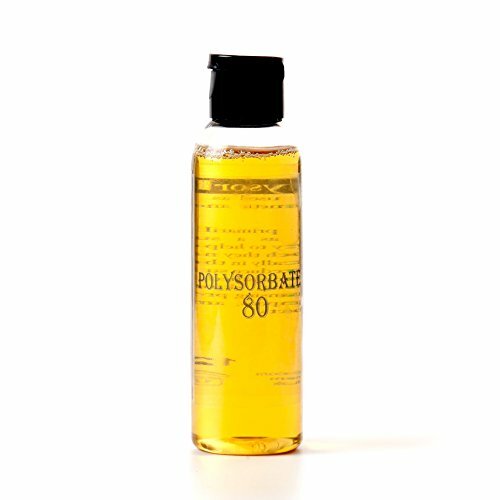 Just make sure you are using Polysorbate 80 so the coconut oil doesn’t coat the bottom of your bathtub making it slippery and add only a little at a time. It is very easy to go overboard and add too much. Take one mold and fill each side with the mixture until it is over-flowing a bit. Press both sides together, using a twisting/grinding motion to get rid of any excess mixture. Gently tap each side and carefully remove the bomb. This takes some technique and practice. Be patient. You can repack and try again as often as you need to until you get the knack of it. As you progress through making the bath bombs, you may need to spray the mix with rubbing alcohol to moisten them, so continues to bind together. If you live in a very dry climate, see my pro tip above. Allow the bath bombs to dry a minimum of 24 hours. My rule of thumb is that when it is hard to the touch, they are ready for the final stage…the glaze! Place soap cubes into a microwave safe bowl and melt for 30 seconds and stir. Continue to melt in 30 second intervals until completely melted. You can add some glitter here or wait for the glazing stage. 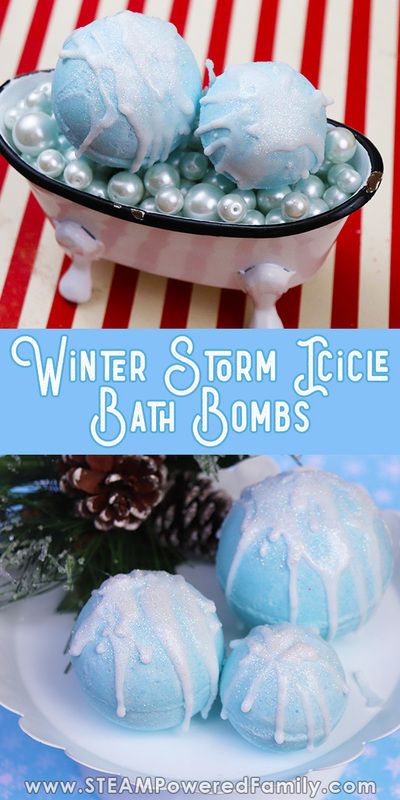 Using a condiment or hair coloring bottle or spoon, drizzle the soap over the bombs to give them the effect of icicles. 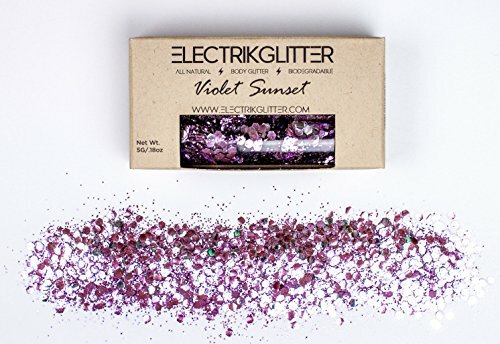 If sprinkling the glitter, do it before the soap glaze hardens. Let set overnight before wrapping or packing in an airtight container. Bath bombs are best used within a couple of weeks. Overtime the strength of the reaction will diminish. Bath bombs must stay dry until you are ready to use them. They can be wrapped in plastic or placed in an air tight container. 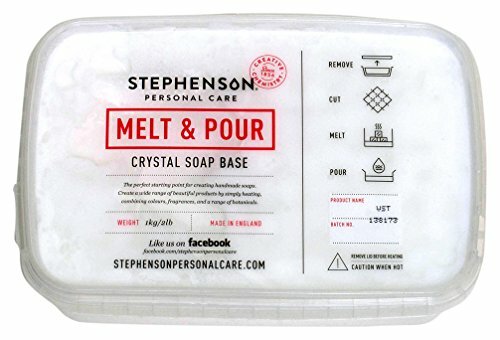 To use, simply fill your bath with warm water and plop the bath bomb in! Enjoy the fizzy bath bomb fun! Capture the sparkling beauty of those moments after a winter storm with these Icicle Bath Bombs. 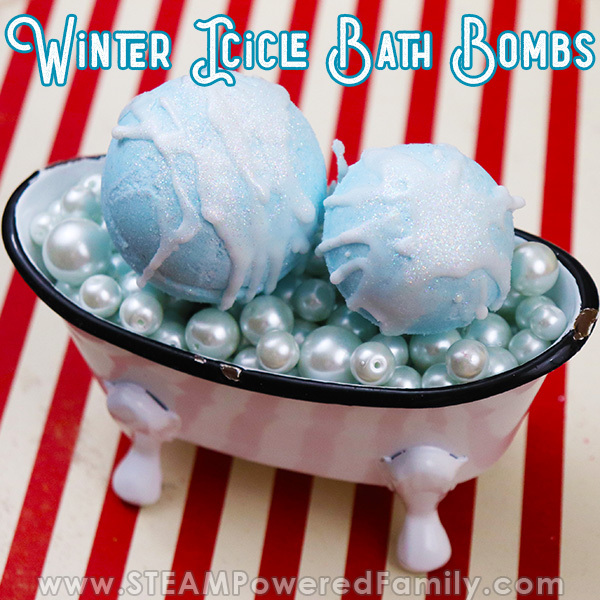 A gorgeous bath bomb project with a STEAM lesson for the kids. Using a condiment bottle or spoon, drizzle the soap over the bombs to give them the effect of icicles. If sprinkling the glitter, do it before the soap glaze hardens.